Companies’ data is increasingly voluminous and much of it unstructured. To the first part, many AI developers argue that AI tools are more effective at reviewing those volumes than are students or junior associates who may not be well instructed in what they are looking for, not to mention the fact that they may be sleep-deprived or bored. 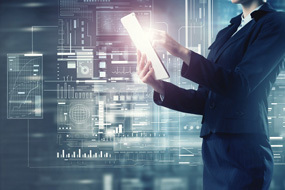 M&A lawyers in Canada would call that an exaggeration but generally suggest the optimal route is to have lawyers working with computerized tools to handle the volume, while adding their judgment in ways that machines do not possess. As to the matter of training, law schools are starting to take note: at both Harvard and Georgetown, they are offering coding courses so that students can learn computer and legal languages. There will be a place for both supervised and unsupervised machine learning as AI evolves in the context of providing legal services, especially in Due Diligence and analogous voluminous elements. Humans will continue to develop and input the requirements of traditional tasks, so that they can be performed faster and more reliably. On top of that, however, there is the potential for computers to go deeper, and make discoveries that we did not know to ask for.